Like the state from which it derives its name, Missouri City prides itself on its “Show Me” attitude and its practical approach to various issues. As part of the greater Houston metropolitan area, Missouri City shares in the humid subtropical climate prevalent throughout this part of Texas. Officially registered as a settlement in 1894, Missouri City takes pride in its historic homes as well as newer master-planned developments that offer modern amenities for residents. The expert technicians at All Out A/C & Heating can provide Missouri City air conditioning repair services to ensure comfortable indoor temperatures for homeowners even during the hottest and most humid summer days. The HVAC professionals at All Out A/C & Heating can be reached seven days a week, 24 hours a day to ensure that your Missouri City air conditioning repair request is addressed promptly. This can reduce the time needed to restore your home to comfortable indoor temperatures and can help you beat the summer heat more effectively. By making us your first call when your air conditioning system breaks down or fails to operate correctly, you can be sure of the best resolution for your climate control needs. We have more than 25 years of practical HVAC experience in the Houston metropolitan area and have built a reputation for honesty, fair dealings and outstanding customer service. 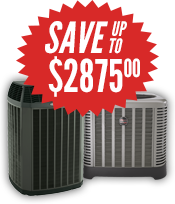 All Out A/C & Heating services all major brands and is an authorized dealer for Ruud and Trane systems. Our highly trained technicians can provide you with fast, accurate diagnoses and cost-effective solutions to ensure that your Missouri City home stays comfortable and cool all summer long. 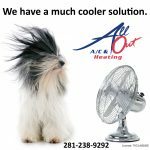 All Out A/C & Heating can provide the Missouri City air conditioning repair services you need to beat the heat and keep your cool. Our phone lines are staffed 24/7 to provide you with added peace of mind when breakdowns occur. 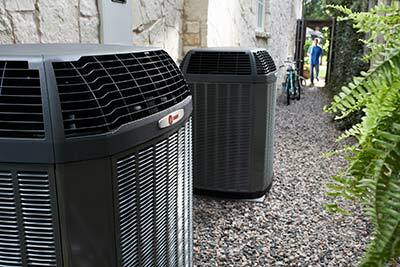 Contact us anytime at 281-238-9292 to discuss your air conditioning repair, maintenance or replacement system needs.